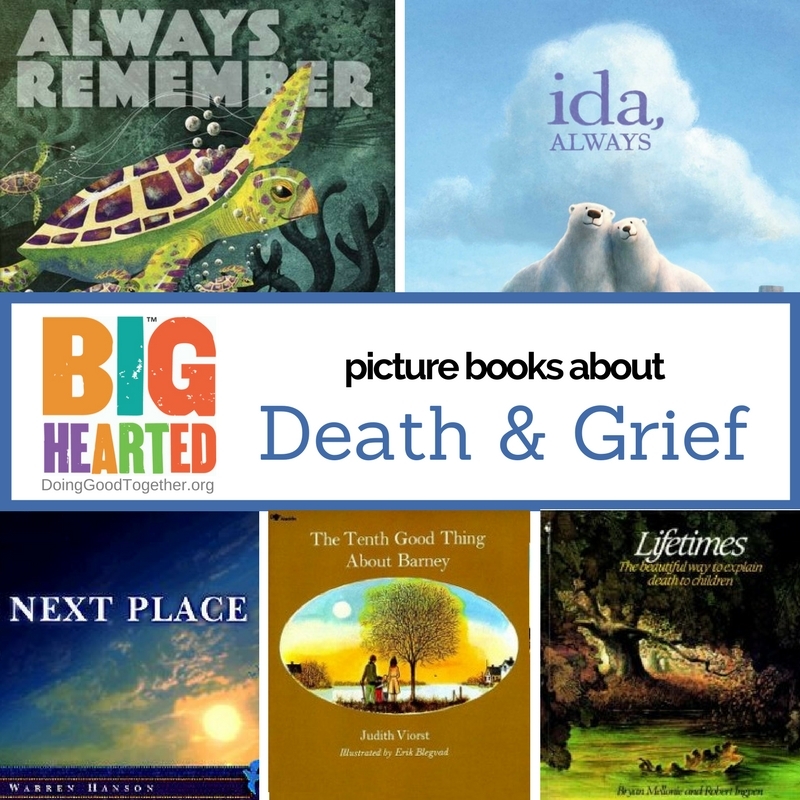 We’ve gathered this list of compassionate, thoughtful, and compelling books for families to read aloud or recommend to older readers. Watch for chapter book additions to our issue-based book lists throughout the summer! We'll continue building our library of outstanding stories full of opportunities for meaningful conversation. Please share your recommended titles in the comments below. What we read with our children matters much less than the fact of reading to, with, and alongside them. Books are bridges to another world, another perspective. Reading allows us to step into the shoes - and thoughts - of another person in as complete a sense as possible. Because of this, reading builds empathy, the research continues to bear it out. In this beautifully written book, Zoe, a ten-year-old who dreams of playing piano in Carnegie Hall, gives us a great opportunity to think about mindfulness, cool-headed thinking, and the many, crooked ways we are all perfect. This book tells two stories about 11-year-old children living in Sudan almost 20 years apart, a girl named Nya and a boy named Salva. Salva is one of the “lost boys of Sudan,” and though the subject matter is occasionally heart-rending, his tale is gently and beautifully told. When the two stories connect at the end of this short novel, your children will be mesmerized. These two outstanding, much-loved stories follow Joey and Mary Alice on adventures with their highly original Grandma Dowdel. This small chapter book, the first in a short series, brings us quite an adventure, as Alice-Miranda arrives at a new boarding school where the headmistress is named Miss Grimm and nearly everything about the place seems a little off. Alice-Miranda must stand up to a bully and make things right at school. Though Alice-Miranda faces many discouraging challenges, this book is laugh-out-loud funny at times. Empathy isn’t always easy, especially when school bullies and everyday conflicts are involved. This simple story of a big-hearted fifth grade teacher and the students he tries to connect with gives readers a chance to step into the lives of others. This story, a Newbery Honor Book, follows Opal and her amazing canine friend Winn-Dixie in her effort to find “the new normal” after a big move. The friendships Opal develops are as enjoyable to read about and learn from as those in our book club selection from February 2014 Wilfrid Gordon McDonald Partridge. This perennial favorite is well-worth re-reading, now through the lens of a community activist. Charlotte embarked on an epic letter-writing campaign! New friendships save the day, and even a seemingly small and insignificant rat has an important role to play. This Newbery Honor book is full of slapstick humor and exciting cliffhangers. Plus, the story will fuel your desire to reduce, reuse, and recycle as you discover, along with our middle-school main characters, the damage we’re all doing to our planet. This beautiful story is told from the perspective of a dog. Like this month’s book selection, Just a Dog alternates between heart breaking and heartwarming, and it’s full of big ideas to launch a conversation about empathy. Winner of the Newbery Award in 1990, this is a modern myth featuring a homeless boy struggling with a sense of belonging. When Jeffrey Lionel “Maniac” Magee begins running, his myth really begins. Big conversations about racism and homelessness are sure to come out of this amazing story. In this Newbery Honor Book, one ninth grader’s seemingly small act of rebellion leads to an epic battle between his parents and his school, ultimately causes scandal across the nation. The unique format of this book, as a collection of newspaper articles, journal entries, and letters, make it fun to read, and it is sure to spark a meaningful conversation about honesty as well as over-reaction. Eleven-year-old Melody has the same joys, fears, and hopes as every other fifth grader, but no one knows this. Melody suffers from cerebral palsy. When she is suddenly empowered to communicate for the first time, she can finally get out of her own head and into the messy, chaotic, amazing world. Children and their parents will love this story, which is sure to ignite many thoughtful conversations. Each chapter reveals a different character in a neighborhood of strangers. Discover how a community garden changes a neighborhood, bringing a diverse group together to overcome obstacles great and small. In this 1965 Newbery Medal winner Manolo is the son of a legendary bullfighter, but he himself cannot imagine facing a raging bull in the ring. Like Ferdinand in our July 2013 Book Club, Manolo must find the courage and inspiration to pursue his own destiny, and overcome the expectations others have of him. This early introduction to science fiction illustrates loneliness and friendship beautifully, but with an alien twist. These fun books chronicle the adventures encountered by Peter Pan long before he settles down with the Lost Boys. This series is great fun, and its characters offer endless opportunities to talk about friendships, feelings, and justice, even on the high seas. This Newbery Honor book is set in ancient Mayan times. When 12-year-old Tigre’s father is hurt, it is up to him to plant and harvest the corn crop. The hope and struggle of farming comes to life in this historical fiction, along with the culture, language, and customs of the Mayan civilization. This Newbery Honor book makes it clear that family and friends are greater treasures than any objects. Illustrated by Garth Williams, the story introduces us to Armand, a homeless, solitary man. He discovers a family with children living under a bridge. He cherishes what they bring to his life yet knows he must work to find them a better home. Emerging research is revealing that Rowling’s work is an incredible tool for teaching empathy and tolerance. 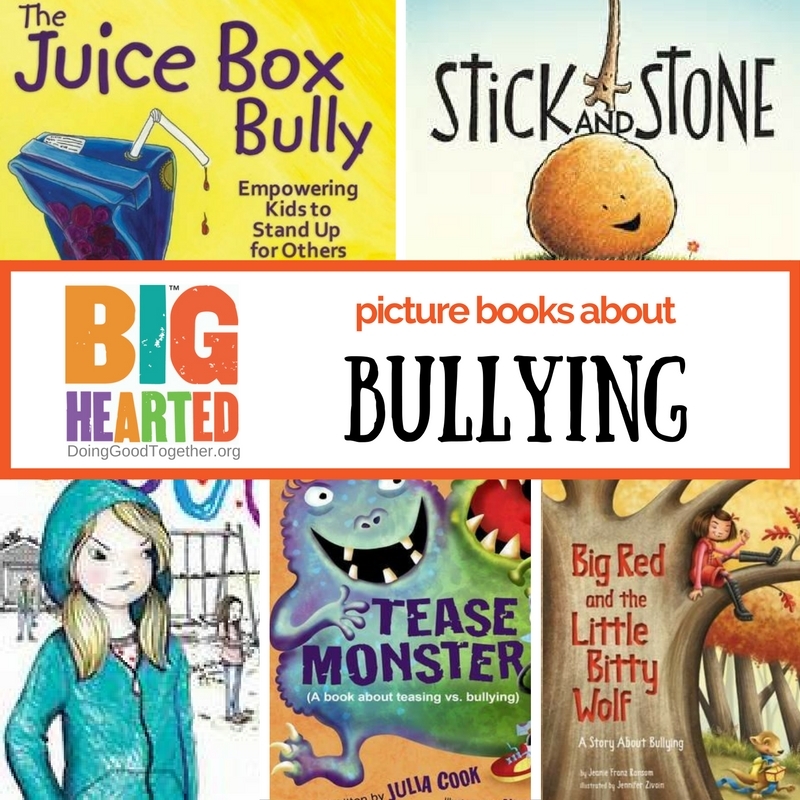 Explore this series together and discuss the many-faceted issues of justice, bullying, and courage found in each of the books. 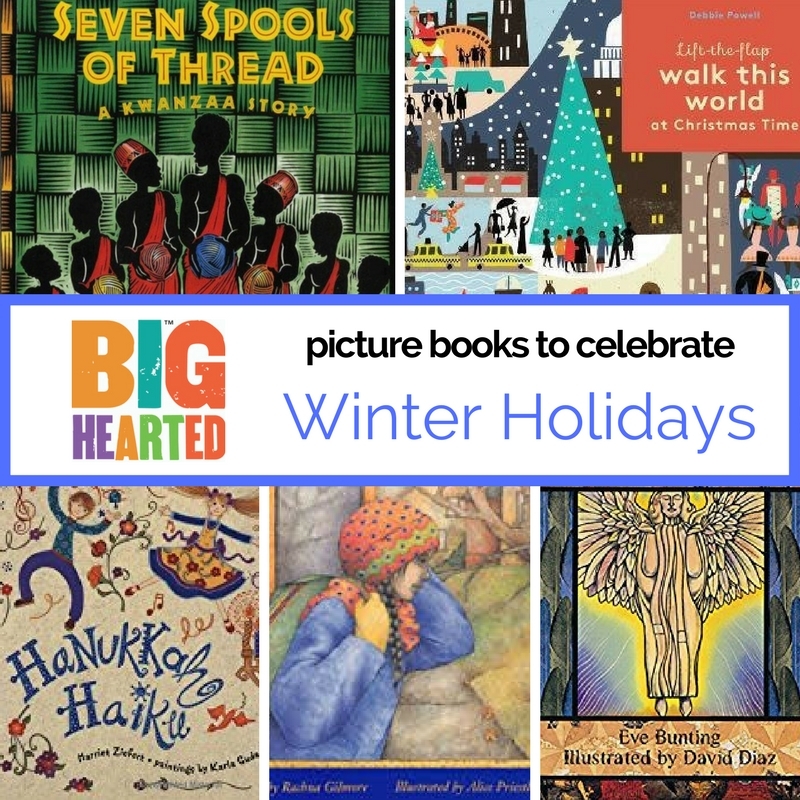 This collection of workbooks covers a range of topics, including titles like A Kids’ Guide to Climate Change & Global Warming and A Kids’ Guide to Hunger & Homelessness. Each book contains a motivating combination of eye-opening information, thought-provoking questions, and straightforward suggestions about how to make change. 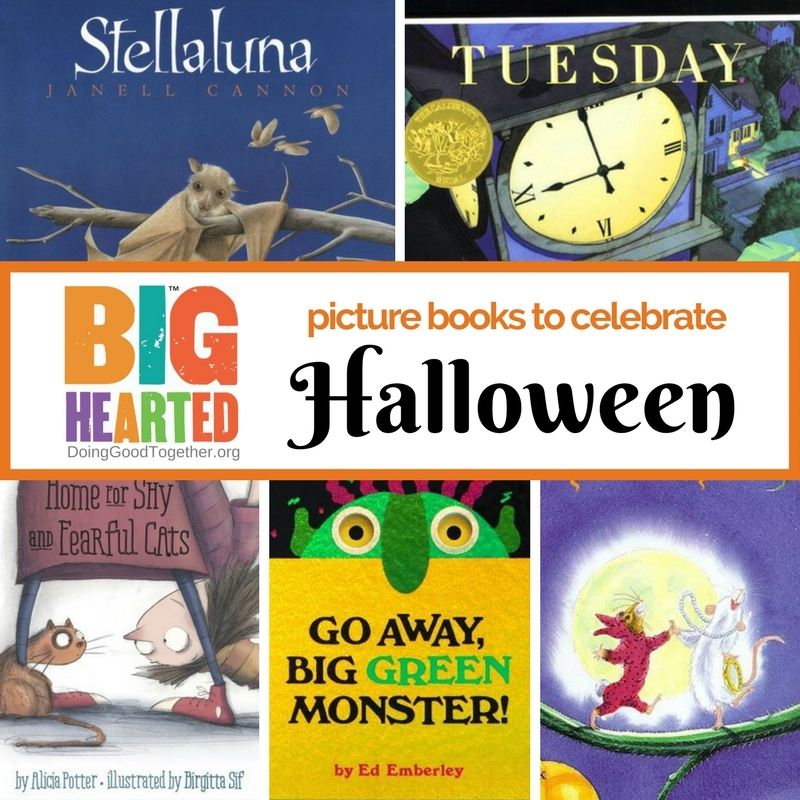 Your child is sure to begin leading family acts of kindness based on these books. This enchanting story follows a boy-clockmaker as he struggles to fix a broken automaton and befriend a toy-maker who may be the last connection he has to his father. Whether you’ve seen the movie or not, this book is a must-read! When the spirited young fairy Flora loses her wings, she must find a way to survive in partnership with the creatures around her. This means, in part, learning to understand their needs and goals rather than simply bossing them around. This book is great fun to read aloud! Drawing from a classic European folktale, this story is full of magic as well as war. Young Gisella tries to outwit the fox that has been stealing her family's chickens, but when she stares too long into the fox’s eyes, she finds herself trapped in his body . Meanwhile, the dangers of war send her family fleeing, and with them the fox-Gisella imposter. This book offers many opportunities for conversations about war and peace. This enchanting classic features Mary – a newly orphaned girl sent to live in a nearly vacant mansion in England – as well as Colin, her frail and spoiled cousin, and Dickon, a 12-year-old boy that seems to speak to animals. Together they discover and restore a garden that has been locked away for years. In that natural setting, they discover friendship, peace, and healing. Set in the tumultuous period of the late sixties, this Newbery Honor book provides plenty of material for deeper conversations about patriotism, freedom, and justice. This magical story illustrates the concepts of mindfulness, gratitude, and helping those closest to you. Goodall is inspiring on so many levels: her ability to patiently observe nature for hours, her compassion and curiosity for the natural world, and her lifelong career defending habitat. If you enjoy this book, check out the rest of the Who is… series. Disclaimer: Doing Good Together™ is a participant in the Amazon Services LLC Associates Program, an affiliate advertising program designed to provide a means for sites to earn advertising fees by advertising and linking to Amazon.com. Browse our book lists for story ideas by topic. Older PostWhy Print Our "Summer of Kindness" Bucket List?